An idiotope is the unique set of antigenic determinants (epitopes) of the variable portion of an antibody. An anti-idiotypic (Anti-ID) antibody binds to the idiotope of another antibody, usually an antibody drug, which makes it a very powerful tool for antibody drug development, especially for immunogenicity and PK/PD analysis. To support preclinical/clinical immunogenicity and PK analysis, ACROBiosystems has developed a series of high-affinity anti-idiotypic antibodies. Our pipeline covers five hot targets including adalimumab, rituximab, cetuximab, trastuzumab, and bevacizumab. To help the drug development process, we provide assay protocols which can be applied to different application scenarios. Therapeutic proteins such as monoclonal antibodies are currently essential in the treatment of cancer, autoimmune disease, and other diseases. Since protein has its intrinsic feature of immunogenicity owing to its structure containing potential B-cell and T-cell epitopes, therapeutic proteins have the potential to induce Anti-Drug Antibodies(ADA) even if the protein has the same amino acid sequence as endogenous human proteins. The emergence of ADA in patients can potentially lead to loss of efficacy and/or adverse events. Therefore, immunogenicity risk assessment and risk-mitigating strategies are required during the development of therapeutic protein products. 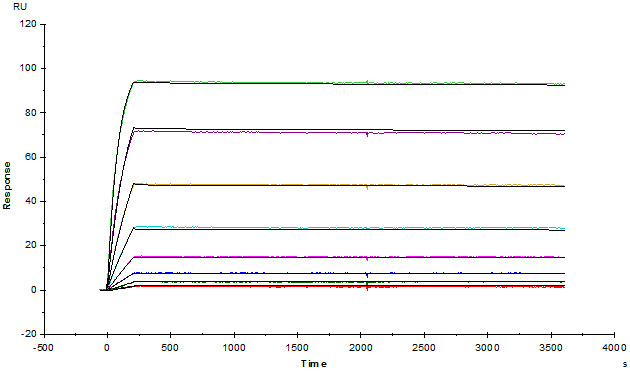 Developing a mono/multi-clonal antibody in-house as a positive control for ADA assay is extremely time-consuming. To solve this problem, ACROBiosystems developed a series of anti-drug antibody standards for ADA assays. 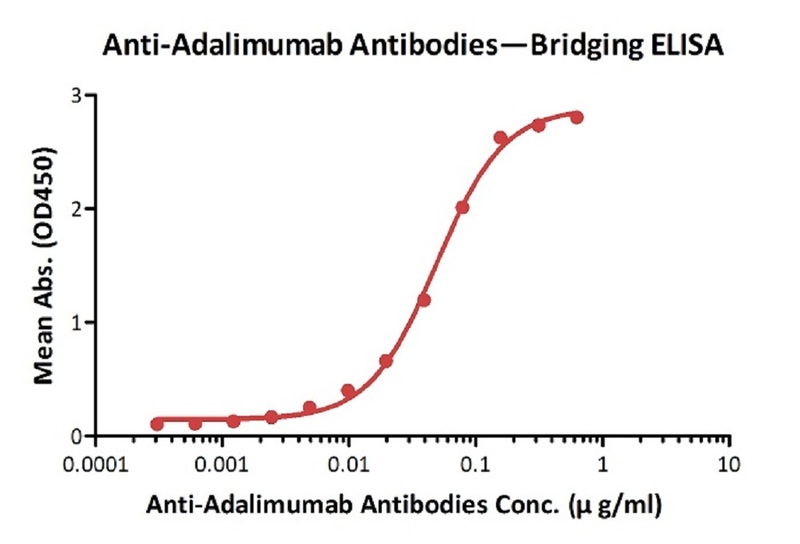 Anti-Adalimumab Antibodies bridging ELISA for Anti-Drug Antibody (ADA) assay development. 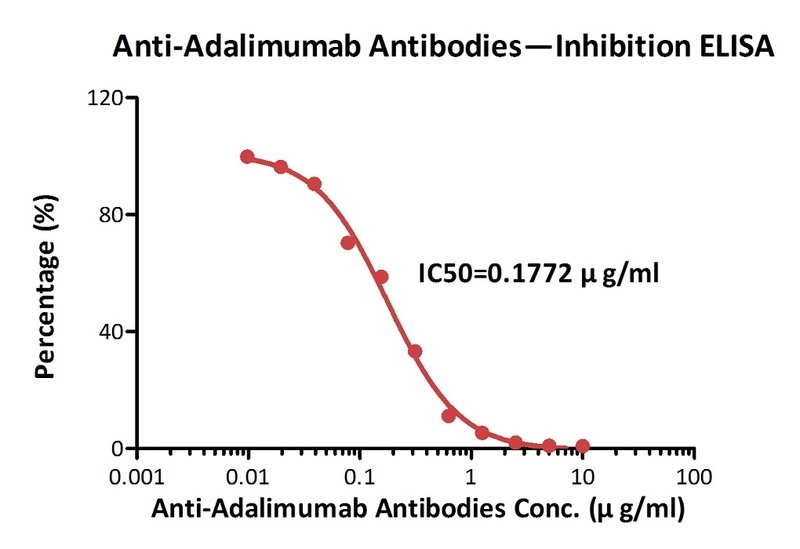 Immobilized adalimumab at 1 µg/ml, add increasing concentrations of Anti-Adalimumab Antibodies (Cat. No. ADB-Y19, 10% human serum) and then add biotinylated adalimumab at 5 µg/ml. Detection was performed using HRP-conjugated streptavidin with a sensitivity of 0.6 ng/mL. 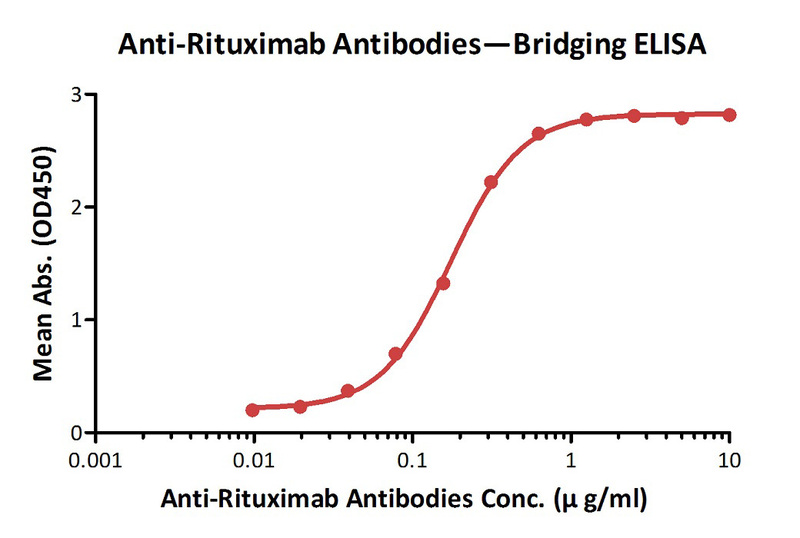 Anti-Rituximab Antibodies bridging ELISA for Anti-Drug Antibody (ADA) assay development. Immobilized rituximab at 5 µg/ml, add increasing concentrations of Anti-Rituximab Antibodies (Cat. No. RIB-Y35, 10% human serum) and then add biotinylated rituximab at 5 µg/ml. Detection was performed using HRP-conjugated streptavidin with a sensitivity of 20 ng/mL. Measured by its neutralizing ability in FACS. The data shows that the binding of rituximab to 293F overexpressing CD20 was inhibited by increasing concentrations of Anti-Rituximab Antibodies (Cat. No. RIB-Y35). 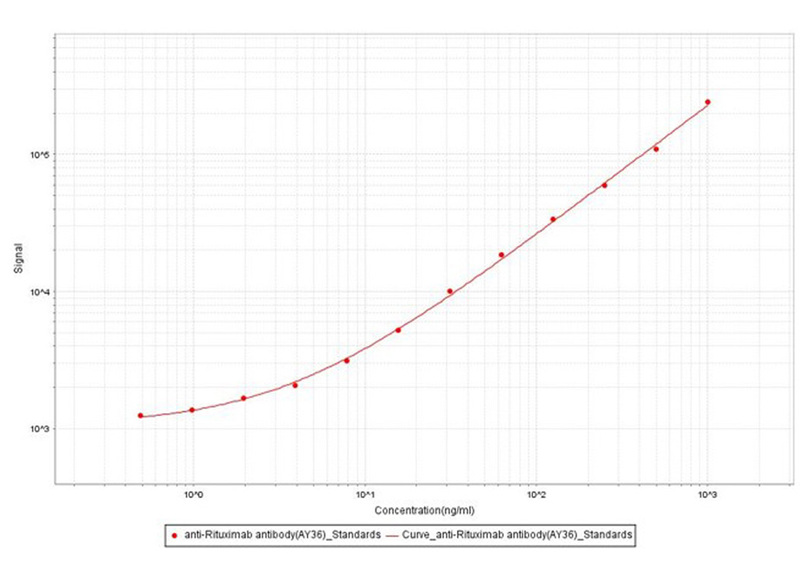 The concentration of rituximab used is 10 ng/ml. The IC50 is 0.013 μg/ml. ELISA is the most commonly used technology for quantitative analysis of therapeutic antibody in matrix. This is often done by indirect ELISA, competitive ELISA, sandwich ELISA or bridging ELISA. Among them, bridging ELISA is considered to be the best option, because of its low non-specific background and high sensitivity. We can see from the data, the use of goat anti-human IgG as secondary antibody results in high background due to unspecific binding, and therefore require pre-dilution before analyses. On the other hand, the bridging ELISA by anti-idiotypic antibodies uses HRP-conjugated Streptavidin for secondary detection, which minimizes the background interference. ACROBiosystems has developed a series of anti-idiotypic antibodies that are used for bridging ELISA. Comparison between anti-idiotypic capture ELISA and anti-idiotypic bridging ELISA for rituximab detection in patient samples. Left: anti-idiotypic capture ELISA; Right: anti-idiotypic bridging ELISA. 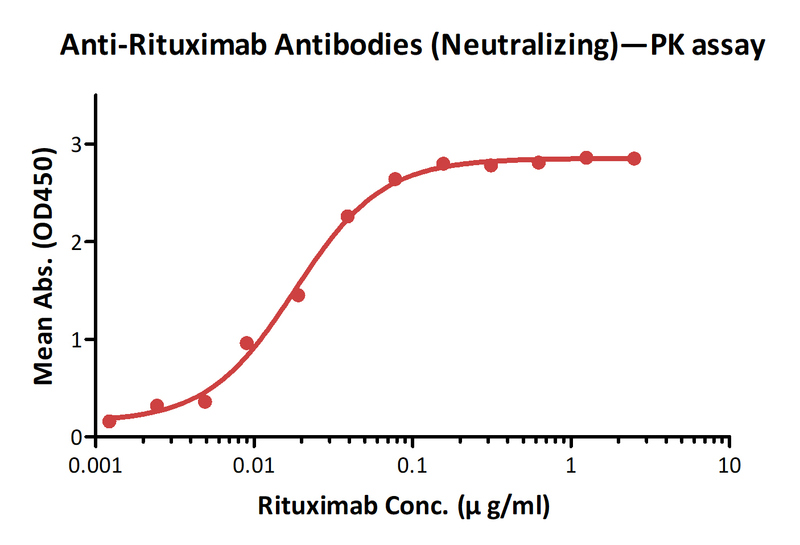 Detection of rituximab by bridging ELISA in serum. Immobilized Anti-Rituximab Antibodies (Cat. No. RIB-Y37) at 2 μg/ml, added increasing concentrations of Rituximab (10% human serum) and then added biotinylated Anti-Rituximab Antibodies (Cat. No. RIB-BY35) at 1 μg/ml. Detection was performed using HRP-conjugated streptavidin with a sensitivity of 1 ng/ml. Affinity measures the strength of interaction between an antigen and an antibody, which can be described as KD. The smaller KD represents the stronger affinity. 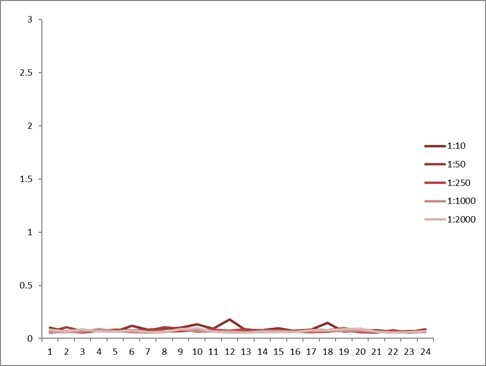 We measured the affinity of all the anti-idiotype antibodies using the SPR method. 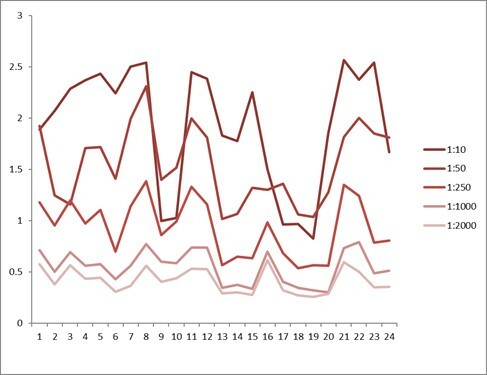 This piece of data helps to predict the sensitivity in assay development. We ensured the specificity of each anti-idiotype antibody product before it goes on the market. ACROBiosystems performed accelerated stability tests and freeze-thaw tests to ensure the stabilities of our products before they go on the market. 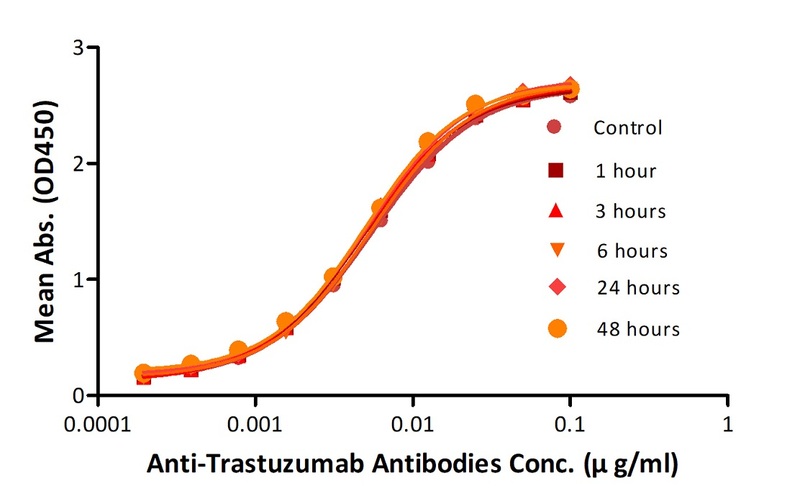 Reconstituted Anti-Trastuzumab Antibodies were diluted to 0.4 mg/ml, aliquoted and placed at 37°C. Aliquots were removed from 37°C at every time point and placed at 4°C along with the control. No significant loss of activity was observed. 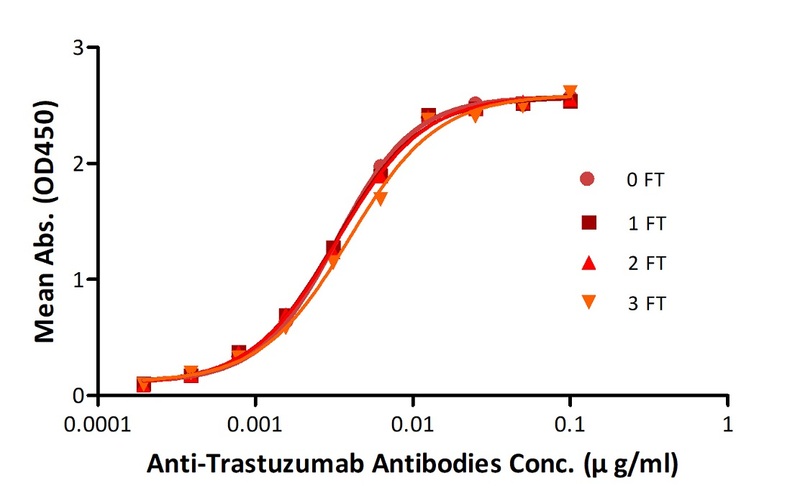 Anti-Trastuzumab Antibodies were subjected to the indicated number of freeze-thaw cycles (FT). No significant loss of activity was observed.